efficiency of up to 79%. The Aran certainly punches well above its weight. 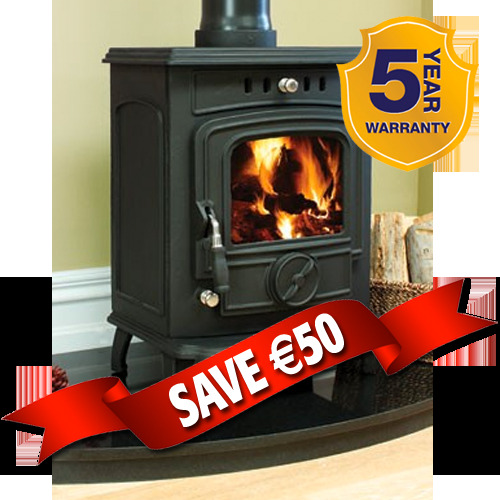 This beautifully made stove is fitted with a riddling plate and ashpan so it can handle wood or any solid fuel. It also has an adjustable rate of burn allowing you to control its output for maximum efficiency.